Choosing a care provider is a daunting task, but Healthy At Home made it pleasant and simple. They are truly caring and nurturing at heart. The professionalism displayed by their staff is reassuring and professional. I would highly recommend them to anyone in need of in-home care. Taking care of our senior family members, while rewarding, can be overwhelming. Our Companion Program can help by providing in-home companionship and respite care resulting in a healthier relationship with your loved one. We’ll take care of cleaning, meals, errands and transportation so you can spend quality time with them again. A caring friendship can provide a watchful eye when extra care is needed. Companionship adds richness to the lives of those who are isolated and lonely. For more information, please contact 250-762-2233 or click on the heart above to get started now! Do you want to make a difference in the life of a senior? 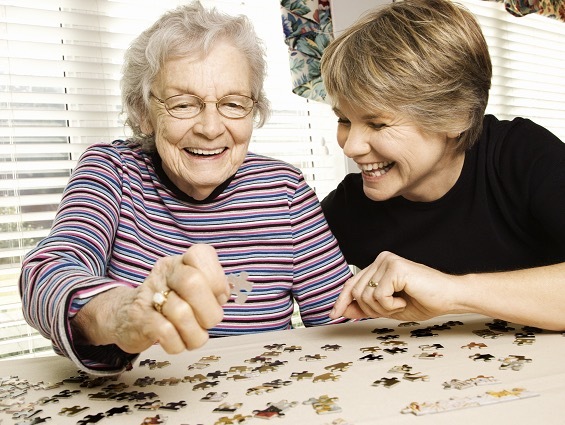 Our volunteers provide in-home companionship and respite care to seniors in our community. Email us at info@healthyathomeseniorcare.com for more information.